Hiraeth, a mark-marc is the first book of a trilogy by Liz Riley Jones. It's a strange mix of modern life and Druid wars, of small suspicious communities and magic. While this is a sort of fantasy novel, take away the mystery and the magical elements and this is a love story, a family story, a war story and an adventure. "Mona Jones has been on the run all her life without knowing why. Her parents were murdered when she was a teenager, and now at twenty-one her uncle and protector is dead too. This chain of events compels her to spend time amid a Welsh-speaking community in Moelfre, Ynys Môn (Anglesey). Here, her druidic ancestry begins to emerge, though it is spotted more quickly by those around her. She is branded by an enemy druid and finds herself at the centre of a druid civil war. The characters in the Hiraeth books are inspired by the heroes and villains of the Táin, they undertake the journeys of enlightenment and tragedy from the Mabinogion but they also have to deal with the modern world and contemporary problems. They face the ferocious growth in technology, change in gender roles and climate, as well as battling enemies from within their hidden world." The characters develop throughout this first book, Mona is a strong outsider with remarkable fighting skills. Cai is portrayed as a silent philanderer but read on and as the events unfold more is revealed about their true characters. I really enjoyed how the story diverged and two plots ran alongside each other. Nearing the end of the book, the excitement, tension and apprehension rises and you a left with a cliff hanger ending that is, obviously, intended to lead you straight to the next book. One of my litmus tests for a good book is whether I care about the characters and what happens to them. I did care for Mona and Cai, I also cared for the other characters in the book and there are quite a few! Liz Riley Jones is the pen name of Sam Holland, a sculptor who lives and works in Kent. It was the sculpture that Sam made of Dic Evans, an RNLI hero from Moelfre, Anglesey that reunited Sam with her family roots on the island.Thomas Idwal Jones, her grandfather, was one of Dic’s lifelong friends, yet it was a chance phone call from the Moelfre Partnership over ten years ago that took Sam to Anglesey and changed her life. 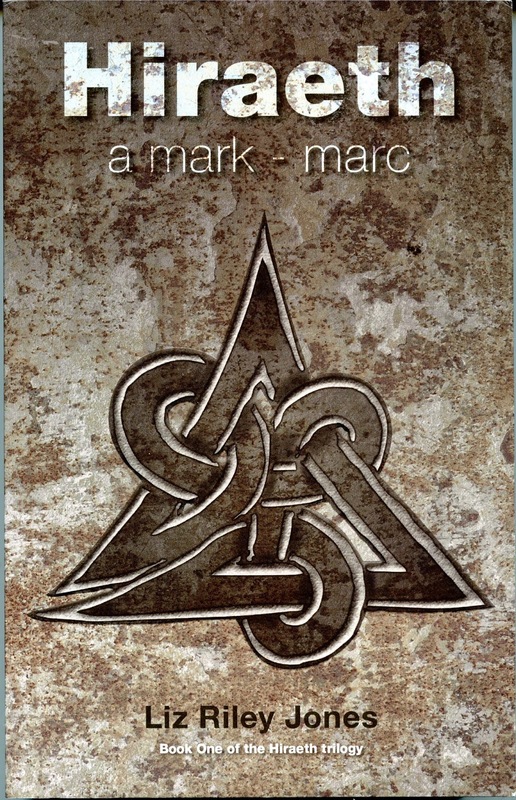 ‘Hiraeth a mark – marc’ is the first book of the trilogy, followed by ‘Hiraeth a burden – baich’ and ‘Hiraeth a loss – colled’ next year. Ebook available now, an audio book will be available soon. What, no food??? Sounds like quite a fun book though. CT taught himself Welsh when he lived in Wales. It's turned out to be useful here in Cornwall too as they are quite similar. Shocking isn't it? However I do love to read and sometimes get approached to review books that are not cook books. I did enjoy this one.